The Post Road Tea Room is named for Nova Scotia’s first highway, the road between Halifax and Windsor. Sections of the original Post Road are part of the Museum Park’s trail system today. Drop by anytime during open hours all season, from June 1 to September 30, and enjoy light refreshments at the Post Road Tea Room. 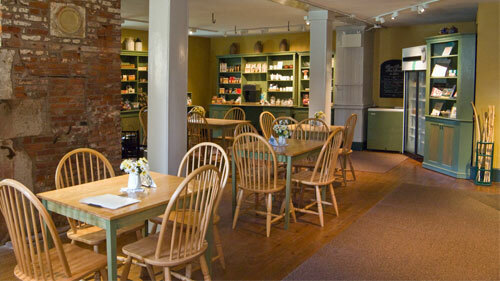 The tea room operates in the old basement kitchen of Uniacke House. It is staffed by our knowledgeable heritage interpreters. While you enjoy refreshments, continue your conversation and find out even more about the Estate, the Uniackes, and life in Nova Scotia’s upper classes in the early 1800s. Purchase a souvenir of your visit in the Museum Shop that features a fine selection of books and products related to the Museum and the Uniacke area.